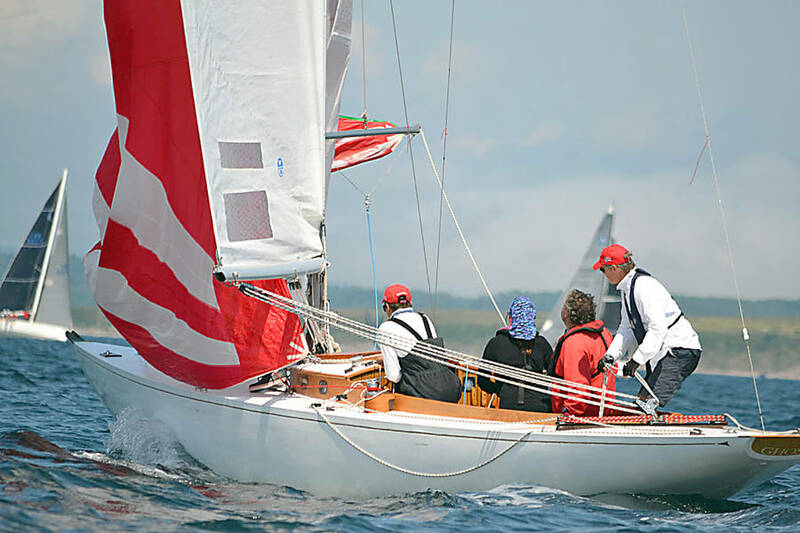 After more than 160 years, Chester's August sailing regattas have become legendary, and 2018 Helly Hansen Chester Race Week was poised to sail into history as another successful event. The thick fog that swirled around Chester at the start of the event on August 15 did nothing to dampen the excitement of the competitors as they slowly maneuvered their vessels around the marina. 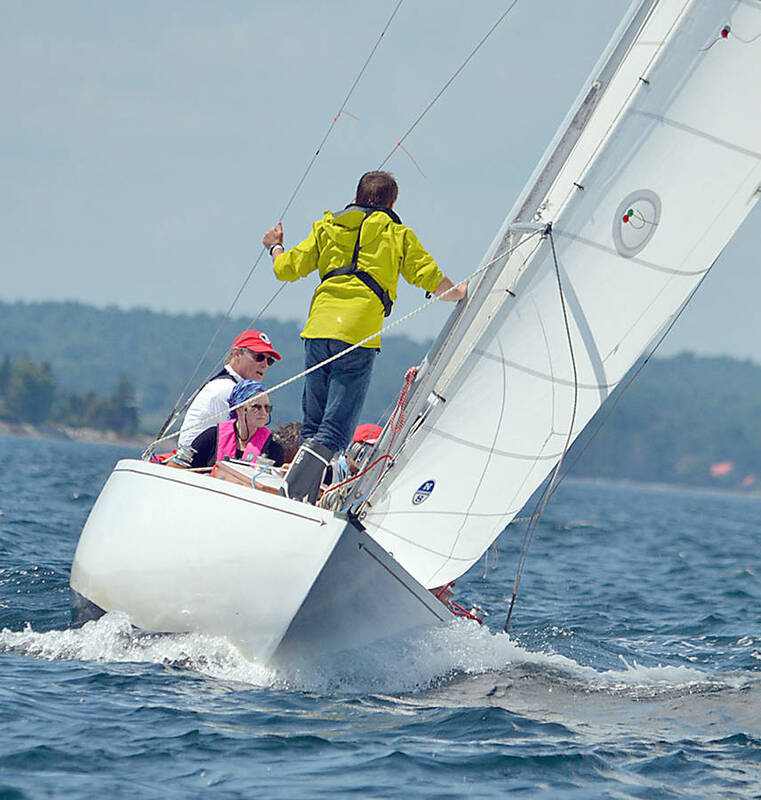 Title sponsor, foul-weather gear company Helly Hansen, registered brisk sales at its pop-up store offerings at the Chester Yacht Club, while the fog lifted and winds picked up just in time for 121 boats to start their races and launch the event in fine form. 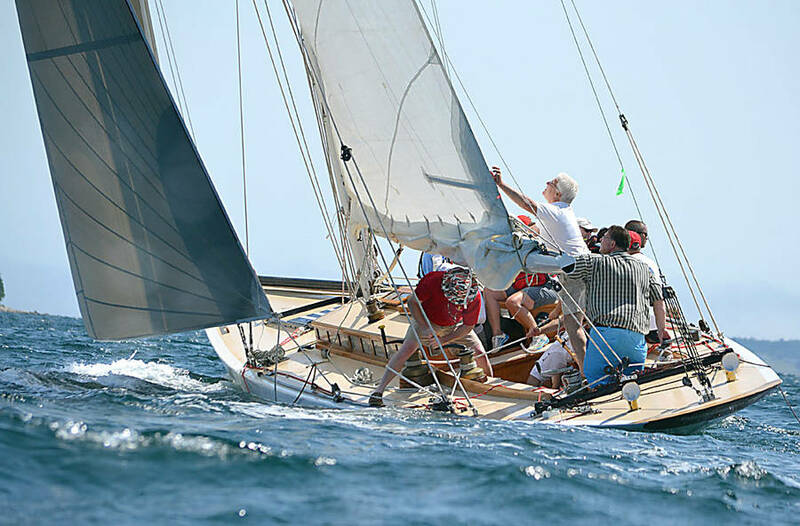 Pat Nelder, chair of the event's on-water activity, called the opening morning's conditions as "classic Chester - ideal, with sunny skies, winds of eight- to a peak of 15-knots and minimal waves." As someone who has both competed in the races and volunteered in organizing them, Nelder was enlisted to skipper the media tour boat - Small Niche, a Southwest 21 Baby Cape Islander. 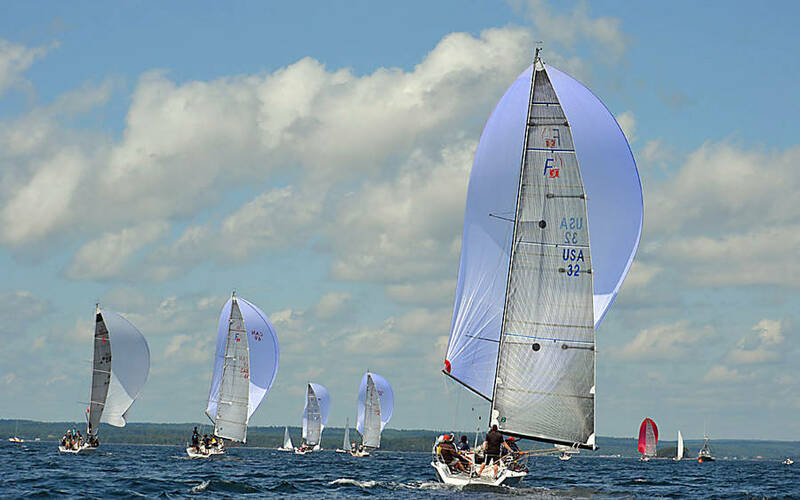 Nelder reported that a lot of new boats joined the regatta this year, "a sign that Chester Race Week is reaching even more people in the sailing community across the region, the country, and internationally." Twenty-five new skippers registered this year and boats came from as far away as Germany, New England, Ontario and Quebec. 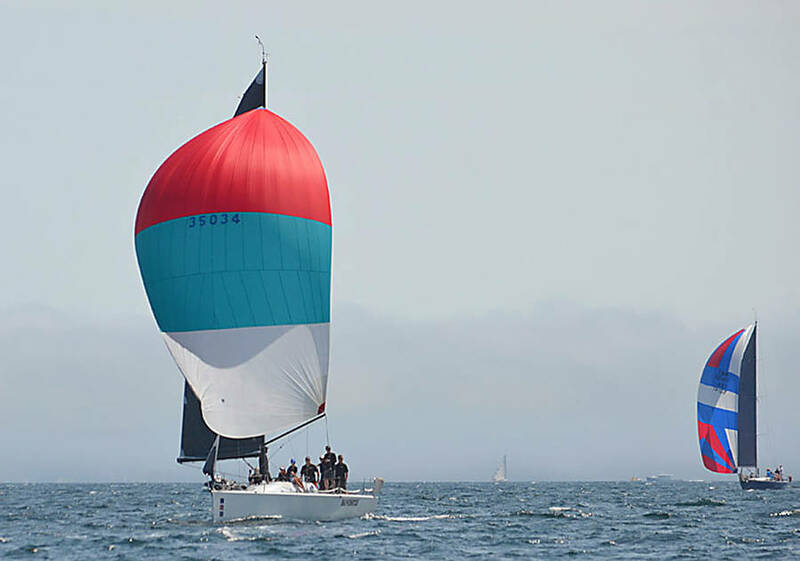 Chester Race Week spokesperson Holly Dunn hailed it as "a great bellwether for the future of keel boat racing." 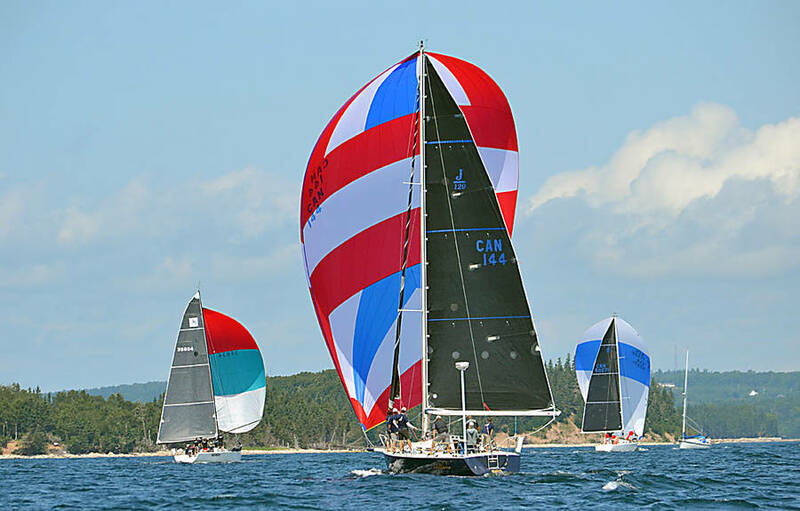 Some of the One-Design fleets expanded this year, including International One Designs and Farr 30s and are said to be larger and more competitive than ever. More than 20 Bluenoses competed in Chester's front harbour. 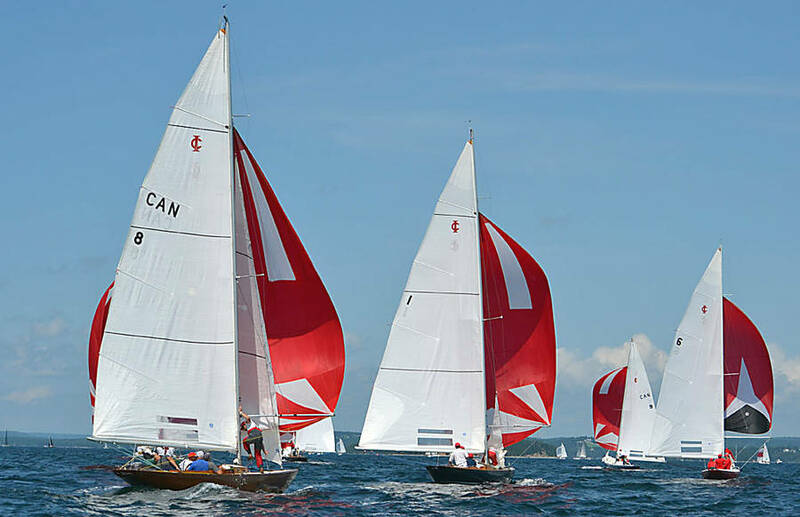 The fleet has grown in recent years to become the largest, most competitive gathering of Bluenose-class keel boats in Canada. Nelder was joined aboard Small Niche by Tim Harris, as the media guide. 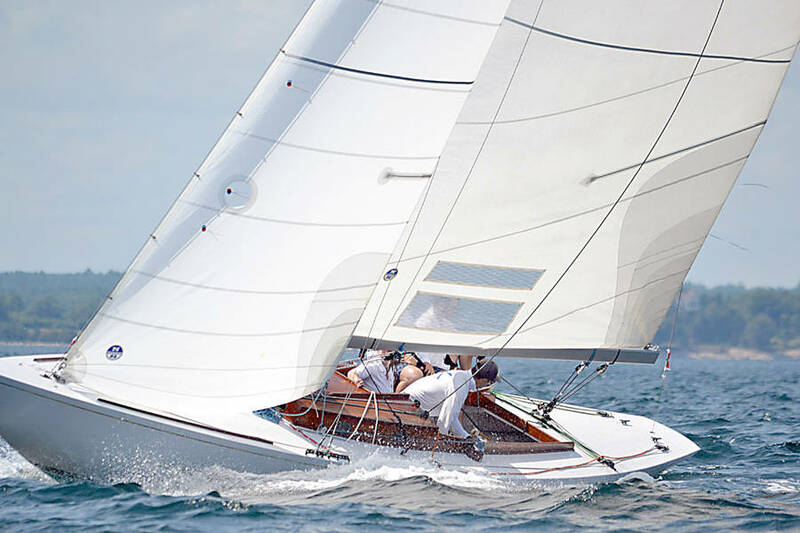 Harris, who is the owner of Tradewinds Realty, has been sailing since he was 16. 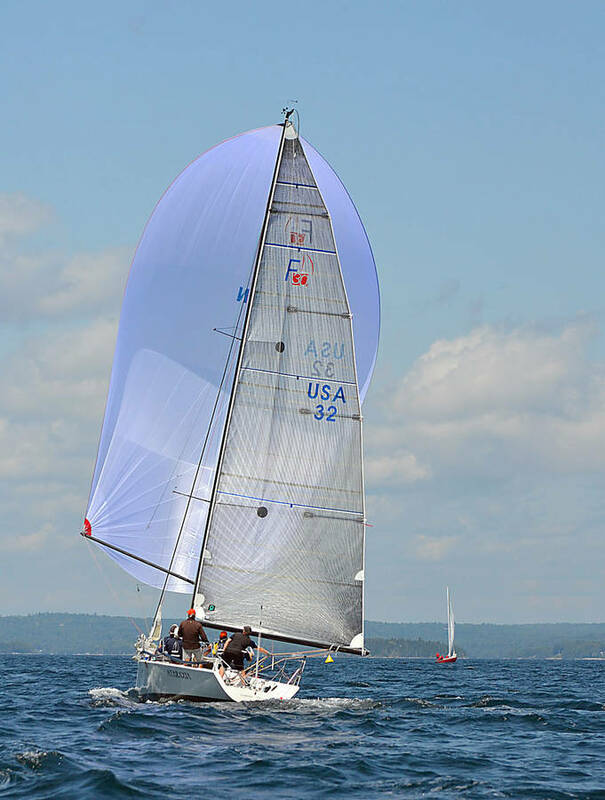 He's participated in a number of races as a competitor and is a former chair of Chester Race Week. He sees an evolution in the competition, and not all of it is for the better. In the earlier years it was just "one big race," he told LighthouseNOW. Declared by Sailing World magazine as one of the 14 most notable sailing events in North America, Chester Race week now features 15 fleets racing simultaneously on five different race courses - from a 0.5 nautical mile windward-leeward course for the Bluenose class in front of the Chester Yacht Club, to the 20-plus nautical-mile-long, off-short distance course for big boats. 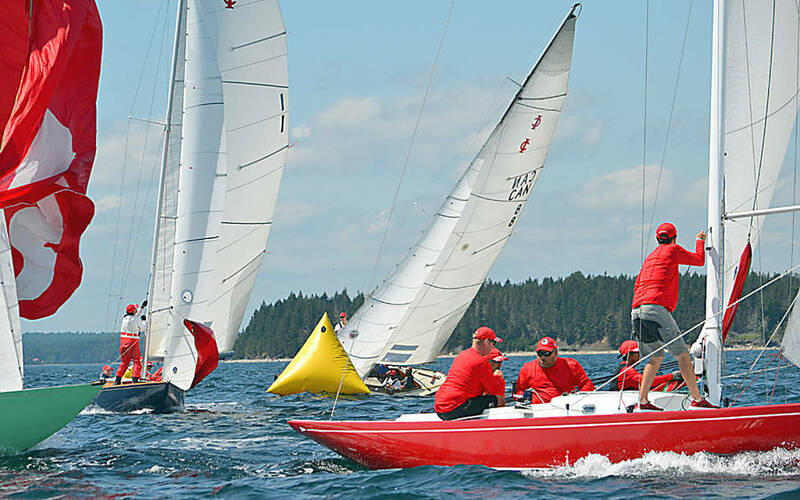 The events, even the Bluenose races, have become highly competitive, according to Harris. "Lots of yelling and screaming at the start lines." Moreover, he says, a lot of the previous competitors are getting on in age while younger sailors have been slow to slide in. "It comes down to wealth. It's a rich people's sport," he says. While that in itself is nothing new, Harris says fewer wealthy Americans are here to compete, and he puts it down to more than just the fluctuating currency exchange. "It's a change in the amount of dollars [Americans] have," he says. Since the recession of 2008, "the whole clock was reset," said Harris. 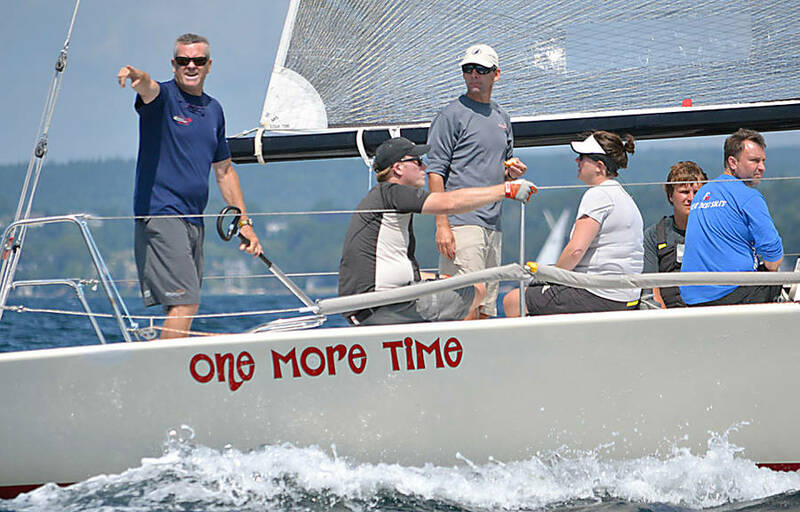 Halifax-based Evan Petley-Jones, winning helmsman aboard the International One Design Bella, wasn't one to complain on August 15. A press release quoted him describing the starting day as "Champagne sailing conditions. 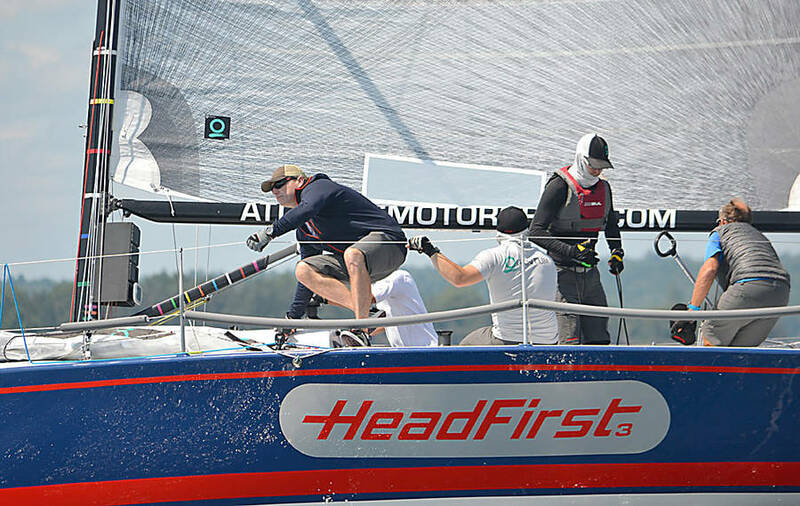 "Great, steady wind and a really tight fleet - as good as you can get for IOD (International One Design) racing," he said. Meanwhile, to help level the playing field in bringing the yacht racing experience to more people, sponsor Helly Hansen was running a contest on-site for a chance to win a trip on a Volvo Ocean Race Yacht with Atlas Ocean Racing.